Creative, Cutting-Edge Accessories from Star Wars and Beyond! popular line of products reflects exactly that! Based in sunny Southern California, the firm is well known for its distinctive skull-print totes and wallets, but it has grown to offer a much wider selection of licensed accessories from a broad range of properties that include Marvel, Avengers, Guardians of the Galaxy, Alice in Wonderland, The Aristocats, Beauty and the Beast, Mickey Mouse, Pokemon, Dr. Seuss, and others. Look for your favorite characters, too, like Iron Man, Darth Vader, Jack Skellington, Pikachu, Ariel, Minnie Mouse, and many, many more. 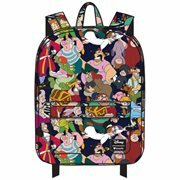 Take a look below at Loungefly backpacks, purses & wallets and accessorize, accessorize! Started in a small warehouse in 1998, Loungefly has become a premiere contemporary accessory company that constantly strives to be creative and on the cutting edge. Its unique and very popular line of products reflects exactly that! 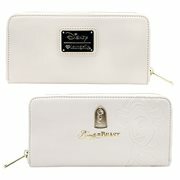 Based in sunny Southern California, the firm is well known for its distinctive skull-print totes and wallets, but it has grown to offer a much wider selection of licensed accessories from a broad range of properties that include Marvel, Avengers, Guardians of the Galaxy, Alice in Wonderland, The Aristocats, Beauty and the Beast, Mickey Mouse, Pokemon, Dr. Seuss, and others. Look for your favorite characters, too, like Iron Man, Darth Vader, Jack Skellington, Pikachu, Ariel, Minnie Mouse, and many, many more. 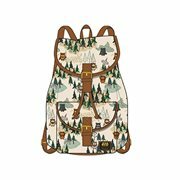 Take a look below at Loungefly backpacks, purses & wallets and accessorize, accessorize! There are so many cool ways to add fun to your wardrobe while broadcasting your fandom to the world around you. 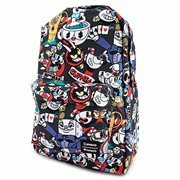 A Loungefly Disney backpack is a great example of a themed accessory that's as beautiful and attention grabbing as it is functional. Or maybe you'd like to treat yourself, a family member, or a friend to a fabulous dome or crossbody purse inspired by The Little Mermaid, Finding Dory, Winnie the Pooh, Black Panther, Stranger Things, Aggretsuko, or Black Widow. There are also jewelry and key chains for fans of every ilk, from C-3PO, Chewbacca, and Ewok collectors to Eevee, Charmander, and Squirtle lovers. Plus, you'll find literally dozens of adorable Sanrio Hello Kitty items to choose from. What Will This Innovative Company Come Up with Next? Loungefly already offers a ton of remarkable accessories geared to many tastes, but the company continues to come out with more and more. So, bookmark this page and stay tuned for exciting new items in the days to come. You'll be glad you did! 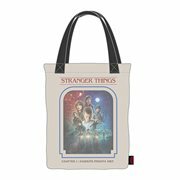 If you're in the market for a Lilo and Stitch, Stranger Things, or Ariel tote bag; an Agents of S.H.I.E.L.D. messenger bag; a Moana, Alice in Wonderland, BB-8, or Stormtrooper cosmetic bag; cool coin bags based on Dr. Seuss, Pokemon, Iron Man, Captain America, Chewbacca, Chococat Fries, or a Porg; or an awesome handbag, you've come to the right place. Entertainment Earth has what you want right here! For even more fun, take a gander at our collection of handy-dandy fanny packs spotlighting R2-D2, Pikachu, Mickey or Minnie Mouse's ears, Marie from The Aristocats, the magical cast of The Nightmare Before Christmas, and many more. Plus there's a very nice selection of Ewok, Keroppi, Aladdin, Bambi, Peter Pan, Cuphead, Rescue Rangers, Avengers, Pac Man, The Cat in the Hat, and Mulan pencil cases you do not want to miss. 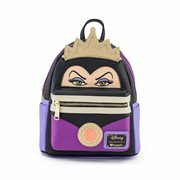 And whatever you do, don't forget to get yourself a magnificent Maleficent, Belle, Monsters Inc. Sully or Mike, Ariel and Flounder, Spider-Man, Rocket Raccoon, The Lion King, Finding Nemo, or Gudetama mini or full-size backpack. They're all oodles of fun… and useful, too!